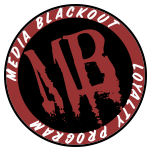 Media Blackout's Fiber Plate is part of our 3D product series. The plates are 3D printed in-house using high-quality nylon, reinforced with four layers of continuous strand carbon fiber. Fiber Plates attach to Gold Mount battery plates using our own T-Studs or genuine IDX Male V-Locks. Our T-Studs fit snugly in the plate, and do not wiggle like OEM Gold Mount studs. These plates can be used to protect unused battery plates, which is especially useful for a downward facing battery plate on a Steadicam. They can also be used to create a quick release for accessories using velcro, epoxy, zip ties, or mounting tape. 3-Stud Fiber Plates are strong, rigid, and extremely light at 1.6 ounces (45 grams), including hardware. When this item is marked as, "In Stock," they are ready for immediate shipment. Since these parts are 3D printed in-house, we can offer a multitude of customizations with fast turnaround. If you have a hole pattern you would like to include on a plate for a specific device, please contact us for a quote. All Media Blackout products that use 3D printed parts carry a 5-year warranty on the printed material. If your 3D printed part warps, cracks, or fails for any reason, we will replace the defective printed part at no cost.